It has been very rainy and dreary here in Sioux Falls. I have been running around in comfy clothes for a couple of weeks and I am so ready to pull out my fun summer outfits! 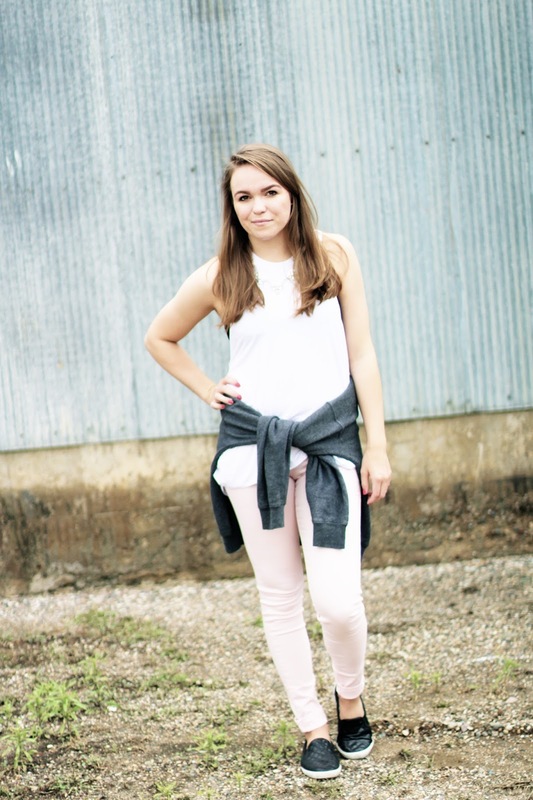 These Flying Monkey jeans however are so comfortable and I love the pastel color. You could dress these up for a more girly look or edge it out for more comfort and edge (which is what I was going for). Oh, another thing…this sweatshirt is my all-time favorite. It's unbelievably comfortable!